Flat curving roads beneath, clear azure sky above head, verdant foliage or dry rocks on the either side of the coal-tar laid path and some rare insights in the life of the people living on or nearby road. All this is nothing but a more elaborate peep into the glorious beginning of the cycle tours in India. The touring exercise in itself is a great feat when at the end of the trip realization of being lighter than before hits. The multiday affair leads to a thrilling exploration of the place and the self, with the satisfaction of having reached a landmark one determines to achieve. The enlightenment on the way sticks to mind exactly the way it is dawned. The paths and itineraries have already been laid down; only the decision to embark on such a journey is left to be made. 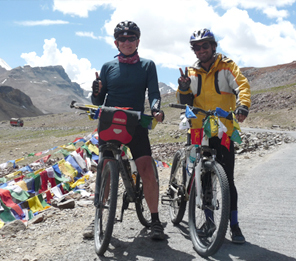 In India, Cycling adventure tours are provided in different states. Some of these include Goa, Maharashtra, Karnataka, etc. 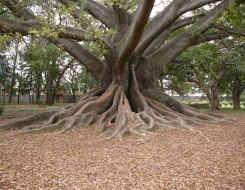 Each one of them has a distinct personality visible in its elements of Nature, culture, dress, infrastructure and in uniqueness that couldn’t be put in words easily. It is only for the eyes of the beholder. In trying to understand the places where the touring feat is provided, starting with Goa might seem natural due to the enchanting aura of the sandy and rocky beaches, overlooking hillocks and greenery all round. The emphatic Portuguese reminiscence is a good paddle-through if one wishes to shuffles pages of history of this once colony of Portugal. On the other hand is the busy capital of Maharashtra- Mumbai, which was once a princely state of under the reign of East India Company, the experience is going to be of solid impact. Still another feat is the capital of Karnataka- Bangalore, known for the IT hub it has evolved itself into and continues to grab international attention. As far as cycling is considered, the route is simply mind-boggling. Come a little to the north-western India and revel doing cycling in Rajasthan- the land of sand, camel, valor, vibrancy, color and what not. The list can go long, if you wish so. Cycling adventures are after all not limited to roads or place but to the mind. The more you want, the more broadened it get!